July 13, 2017 – The National Defense Industrial Association’s (NDIA) Space Division announced that it will award this year’s Honorable Peter B. Teets Award to Lieutenant General Lt. Gen. Samuel A. Greaves, Director, Missile Defense Agency, Ft. Belvoir, VA and Mr. Richard F. “Rick” Ambrose, Executive Vice President, Space Systems Company, Lockheed Martin Corp. This year’s industry honoree is Rick Ambrose. Ambrose is Executive Vice President of Lockheed Martin’s Space Systems business area and an officer of Lockheed Martin Corporation. Space Systems is a $9.1 billion enterprise that employs approximately 18,000 people and provides advanced technology systems for national security, civil and commercial customers. With over 35 years of experience in the defense and aerospace industry, Ambrose has led a significant number of programs in support of military, commercial and national security missions. 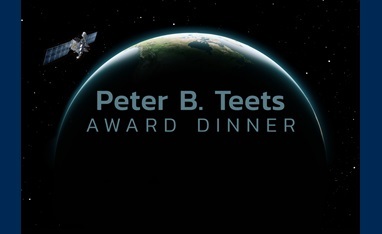 The awards will be presented at the annual Peter B. Teets awards dinner on August 1.